With it being the middle of March, just about every skier or snowboarder out there knows that the end of the 2018-2019 season is near. As the saying goes, it just seems like yesterday I was writing my first column of a new skiing and snowboarding season. It just seems like yesterday, I was talking about opening days, holiday periods, Learn to Ski and Snowboard Month, etc. Boy, time sure goes by fast when you are having fun. As the season winds down, I always watch what resorts do to attract skiers and snowboarders. During the Skisoutheast.com Summit at Snowshoe Mountain earlier this month, your favorite website editor and mine, Mike Doble and I had our annual conversation about how much snow you need underneath you to actually need to have fun on the slopes. I always have maintained, give me a solid six to eight inches and I can make my way down the hill nicely, thank you. Mike, maintains a bit more might be needed, but you get our point. That point being, as long as there is adequate coverage, I really don’t think huge base numbers are going to change somebody’s mind where to play. Bare spots might, but solid coverage is not going to cause any skier or snowboarder to make a U-turn and go somewhere else. Full disclosure here, even though most of you know this, but along with writing this weekly column, I handle the communications for the West Virginia Ski Areas Association. Now, the association’s board got together recently and decided to use Sunday, March 17 as a free ski day for West Virginia residents at the state’s remaining open resorts, Canaan Valley, Snowshoe Mountain and Winterplace. The reason behind the promotion is that way too often, we forget about how much you can have fun in your own backyard. 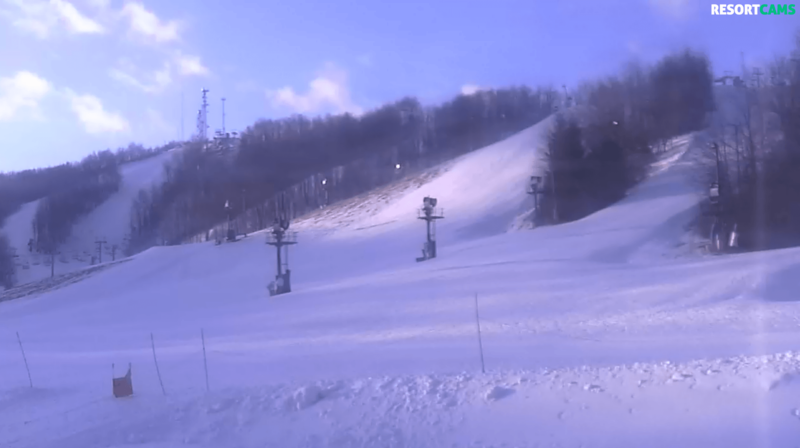 With that said, if you live in North Carolina, Virginia, Maryland or Tennessee, just take a look at your favorite resorts’ webcams, the conditions remain nice, so take advantage of the sunshine and make some March turns. In an earlier column I wrote about how everyone needs to look at the overnight temperatures, as much as they take into consideration on-slope time temperatures. Take this last week as a prime example, the temperatures though the week were on the milder than normal side. This meant that the groomers probably were going to stay off the snow during the overnight hours, not to move the slope coverage all that much. But if you were planning a weekend trip to your favorite ski resort you would’ve noticed that the cold front that was developing was going to cause the overnight lows to drop into the sub-freezing territory. That’s good, cold news all the way around as that meant slope time for the groomers and a very nice groomed surface for skiers and snowboarders for the early morning runs. This brings me to another point, around Thursday afternoon I received a text message from a skier inquiring if Winterplace was going to be open for the weekend. They went on to say they felt it was just way too warm for there to be any snow left on the slopes. Now I know the person who sent me the message is very intelligent and has their wits about them. However, how much effort would it have taken to punch up Winterplace’s webcam and check it out for themselves. I have a feeling that I am going to be preaching this side of the industry for as long as I am writing in this space. After the decision was made for West Virginia residents to be able to ski free at West Virginia resorts on March 17, I purposely didn’t tell my now 15-year old skier about another opportunity for him to hit the slopes. 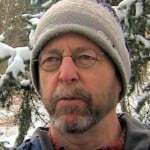 As is usually the case with my position with the West Virginia Ski Areas Association I get interviewed by the various sectors of the media about these types of matters. On Tuesday evening during a statewide weather forecast the Meteorologist Spencer Adkins pulled out his phone and mentioned that he had gotten a text from yours truly about the ski free day. Well my son’s eyes popped up from being buried in his phone, reading about the latest Fortnite update, to listen more closely to what Adkins was announcing. When he was finished, my son’s head than turned in my direction and with a smile I get, “So I guess we are headed to Winterplace this Sunday and let me check the webcam and see how things are looking at this point?” Like any 15-year old, he has selective hearing, but in this instance, I have to admit, he was spot on. Like I said earlier in the column, time is basically running out for those who want to ski or snowboard some more during the 2018-2019 season. Yes, those daffodils that have popped up in your front yard are a very good indication that if you haven’t made plans to head to the slopes, you better do so pretty darn quick, I would say. It looks like this is going to be another one of those seasons, that all of the resorts in the region are going to be running out of skiers and snowboarders before they run out of snow. This is also the time of year I hear from mountain operation folks, saying with tongue in cheek, they wish they could get a refund from the electric company for the snow they made that is left over. So, to my point of this week’s column, many of you are probably making plans for your “Last” turns of the season. Well I am here to say there is no such thing as “Last” turns, as the 2019-2020 season is only eight months away. Time to get the equipment ready, don’t you think? That’s it for this week, next the annual Snowie Awards. Just remember whether it be cold or whether it be hot, we’ll weather the weather, whatever the weather will be. Think about it! See you on the slopes, next season. Previous articleHappy St. Patrick’s Day Sunday…One to Two More Weekends Left to Ski & Ride.